Regardless of whether you like your neighbours, having an overlooked property isn’t generally a pleasant experience. When the sun’s out, a certain level of privacy makes all the difference. Planting trees is a great way to shield your garden from unwanted views and transform your property into the haven it should be. But when it comes to choosing the trees for the job, they’re certainly not all made equal. We’ve broken down a few considerations to bear in mind, and a few of our favourite low-maintenance varieties for providing that perfect balance between obstruction and screening. As tree surgeons, we’d like to be able to take all the credit for keeping trees from becoming a nuisance in your own backyard, or worse, spreading on to your neighbour’s property, where they’re legally entitled to chop off any unwanted branches themselves. But a lot of this actually comes down to the variety of tree that’s been planted. Some trees will simply get in the way regardless of how much pruning you do, whereas tear-drop or vase-shaped varieties will provide the perfect solution. The pyrus calleryana ‘chanticleer’ is an extremely popular choice for screening and privacy purposes, thanks to its ideal shape. This attractive deciduous tree is also windproof, low-maintenance and generally pest free. The type of tree you should opt for also depends on whether you want year-round screening. If you’re in the garden whatever the weather, or you’re trying to block the view an unsavoury sight nearby, then an evergreen tree will have you covered right through winter. 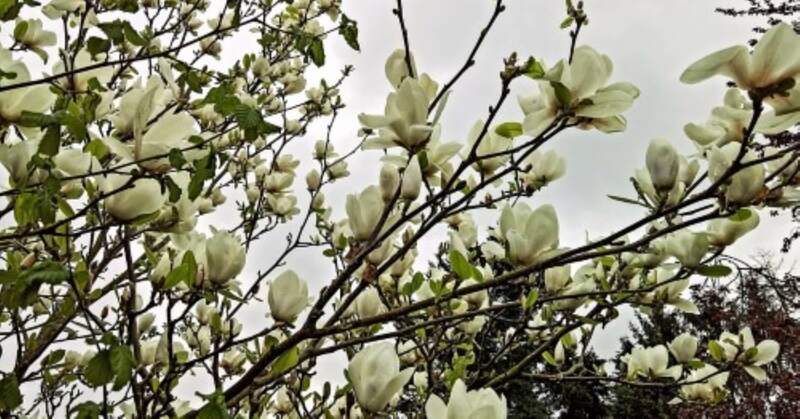 Although not all magnolia trees are evergreen, they are a popular and consistent choice for UK homeowners due to their thick green leaves and easy-to-maintain shape. It’s large enough to block any unwelcome views, but not so large that it will become an obstruction, depending on the size of your garden. Planting season in the UK is generally in the autumn, to allow enough time for the tree to grow before the following summer. But some varieties grow faster than others, making them more suited to screening, such as the cotinus coggyria. What eventually becomes a gorgeous red tree actually begins life as a shrub plant. Fast-growing trees do sometimes require slightly more maintenance work, but as a shrub, the cotinus coggyria will only grow to the size of a small tree and is fairly adaptable in terms of cut. What Is A Tree Surgeon? What is a tree surgeon? Surprisingly, a lot of people don’t.. Read more Welcome to Wychwood Tree Surgeon's Brand New Site!